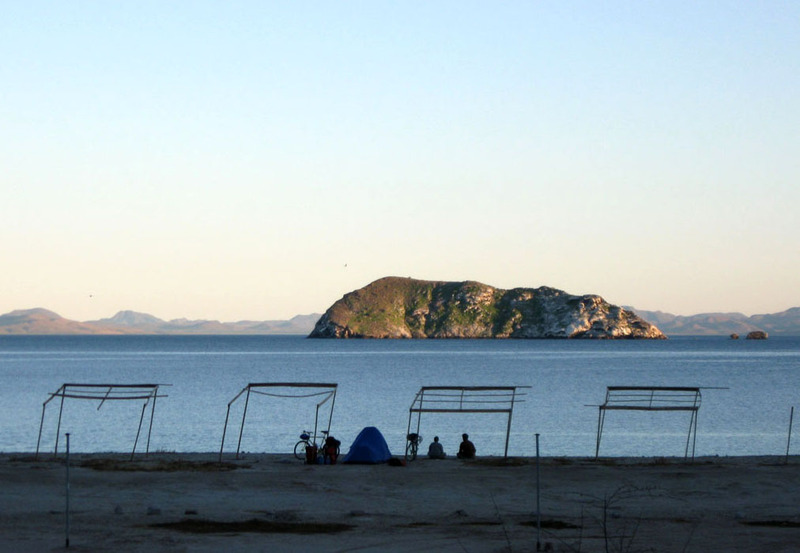 Here are a few photos of our trip to Baja. We just got back, and we’re still catching up on everything. Apparently, there has been a bit of rain while we were gone. Our plants are happy, but no one else seems to have enjoyed it. I can’t say I missed it. 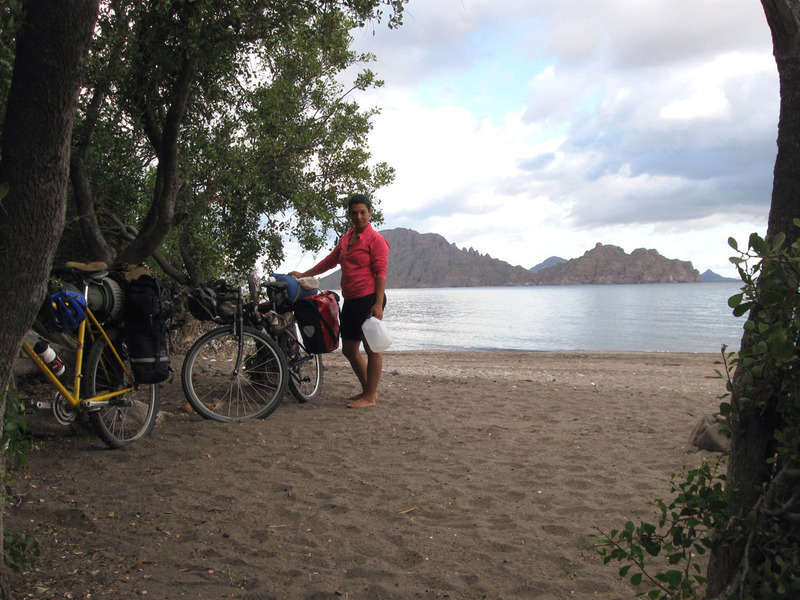 Baja was great, one of the best trips we’ve taken and definitely our best bicycle tour. 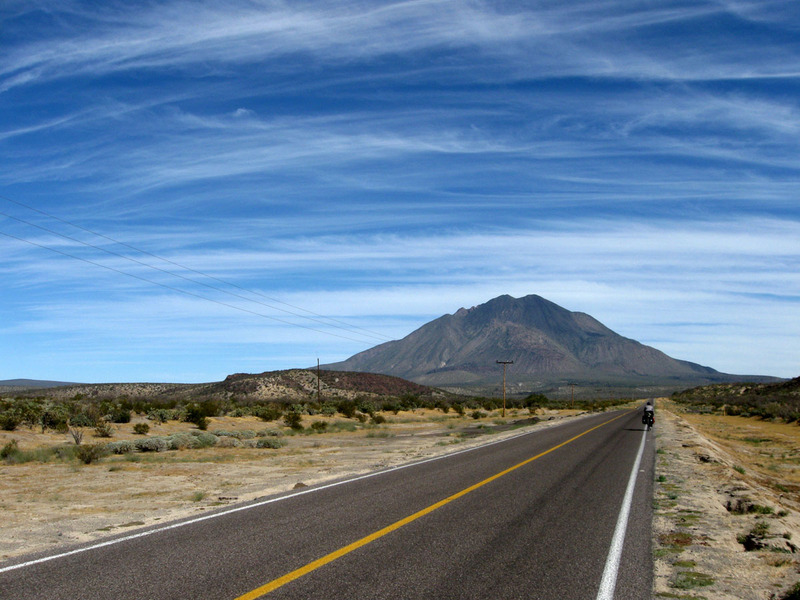 We travelled about half the peninsula, from San Ignacio to San Jose del Cabo, cycling about 300 miles and busing through the boring section south of Ciudad Constitucion and the busy section near Cabo; the 150 miles of riding along the Sea of Cortez from Santa Rosalia to south of Lareto was perfect in just about every way. And, the sign of a great trip, at the end we felt ready to come back home but also determined to go back to Baja in the future. 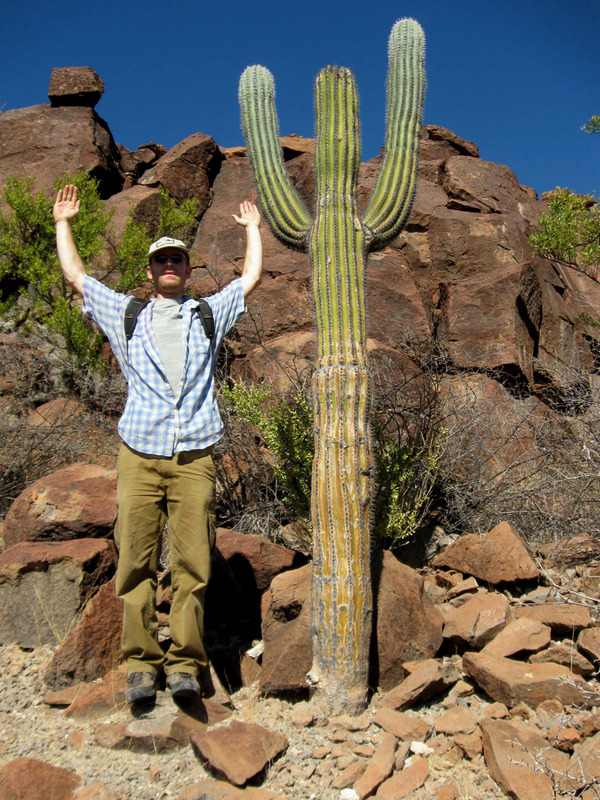 We spent a lot of time checking out the Baja plants, so I should have some posts about the desert soon. It’s a big desert down there, so some of the small-format photos don’t do it justice. As always, you can see them at a bigger size if you click on them. This entry was posted on Saturday, January 30th, 2010 at 12:37 pm and is filed under miscellaneous. You can follow any responses to this entry through the RSS 2.0 feed. You can leave a response, or trackback from your own site. OK… You really have me with your last photo!! Gorgeous! Looks like a fun biking trip you had there! Lucky you! It is about 2 degrees here tonight. It seems you had every vista to yourselves! Apparently, Baja was more empty than normal this winter. We heard that, in past years, the wooden frames in the photo would have been palapas full of people drinking beers, but the slow economy and the hurricane that hit Baja this past fall made for fewer people on the beaches. Too bad for the locals, but better for us and the photos, I guess. Wowm nice photos. 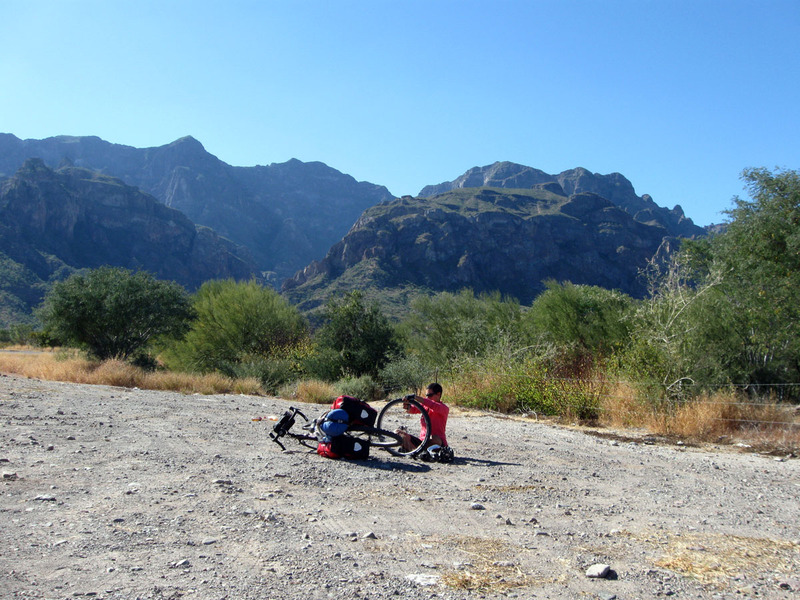 How do you get your bikes down there….can they fly with you, or do you rent them down there? We took our own bikes. You can fly with them if you put them in a box; the airline charges $50. Once in Mexico, you can put them on the bus without a fee, which we do when we want to avoid a busy or boring road. Welcome back from what looks like a great trip. The landscapes you show are awesome and I hope to make it farther south on the peninsula one of these days. I was hearing of people being stranded by bridges south of Ensenada washing out in the big storms and stranding all sorts of tourists and causing fuel shortages. Hopefully you weren’t caught in all that! We were south of where all the trouble with flooding happened. The weather was overall very good to us, just one of the reasons why it was such a great trip.